I am just able to sort through how deeply intertwined the marriages were in the small area of Montgomery and Telfair counties. We have always been a bit concerned that maybe there were people who got married and were possibly blood related. My mother and I was just talking about this today, but so far I have not found any proof of that. They seemed to have been really careful in not letting that happen. It reminds me of a story I heard a couple of years ago about when Catherine Ryals, whose mother was Susie McCray, was going to marry Artis McRae, and they were told to wait a minute, so that the family could make sure that they were not related. Obviously after checking it out, they we given permission to get married. In my research along with my cousin Jesse McRae who is the grandson of Catherine Ryals and Artis McRae, we discovered that there was a common name in these two families, Moses McRae(McCray). 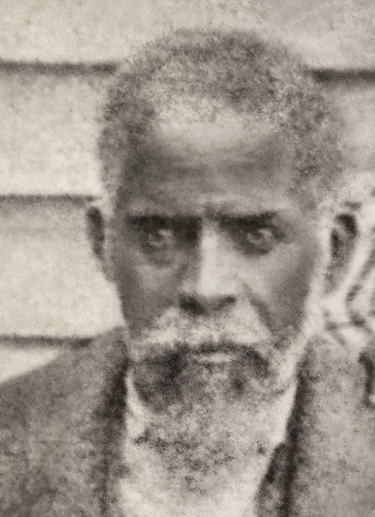 For many years we didn't know enough about Moses McRae(McCray). See, Jesse knew that Artis McRae's grandfather was named Andrew McRae who had a brother name Moses McRae, but he did not know anything about this brother. Now on Jesse grandmother Catherine Ryals' side of the family, which is also my side of the family, Catherine's mother was name Susie McCray, and her father's name was Moses McCray. However Moses McCray was a mystery to us as well. We didn't know his mother's name or if he had any siblings, or if it was possible that Andrew McRae was his brother. Then we heard of the above story of Catherine and Artis' delay in getting married. We have since discovered that there are definitely two Moses McRae(McCray) with a slightly different spelling of the surname, even though you can't prove that through the census data, which is a topic for another day. This was determined after discovering Antonio McMillian who is a descendant of Moses McRae, who is the brother to Andrew McRae. Thanks again Antonio for relieving us of this anxiety. Now this brings me to how I discovered this same Moses McRae (brother to Andrew) in my family tree just the same, but on my grandmother's side as oppose to my grandfather's side, which is where Moses McCray is found. My grandmother Esther (Susie Esker) McMillian marries Maxie Ryals, my grandfather (descendant of Moses McCray). Two of her brothesrs, Henry and Adam McMillian marries two sisters, Ida and Aleph Rogers (daughters of Isabella McAllister and Peter Rogers). One of their sisters Isabell Rogers marries that very same Moses McRae (brother to Andrew McRae). I know you all are ready to exhale now, but not yet, because their mother Isabella also marries Stephen McMillian after her husband Peter passes away. Now get this, Stephen McMillian is the grandfather of Henry and Adam McMillian who is married to two of Isabella McAllister Rogers daughters, Ida and Aleph. I thought this was quite interesting. We know that African Americans during that time in history only married as far as they could walk, but they seem to have been really careful not to marry anyone that was blood related. At least in the African(American) culture that is not as accepted as it was by other cultures during the same time in history.